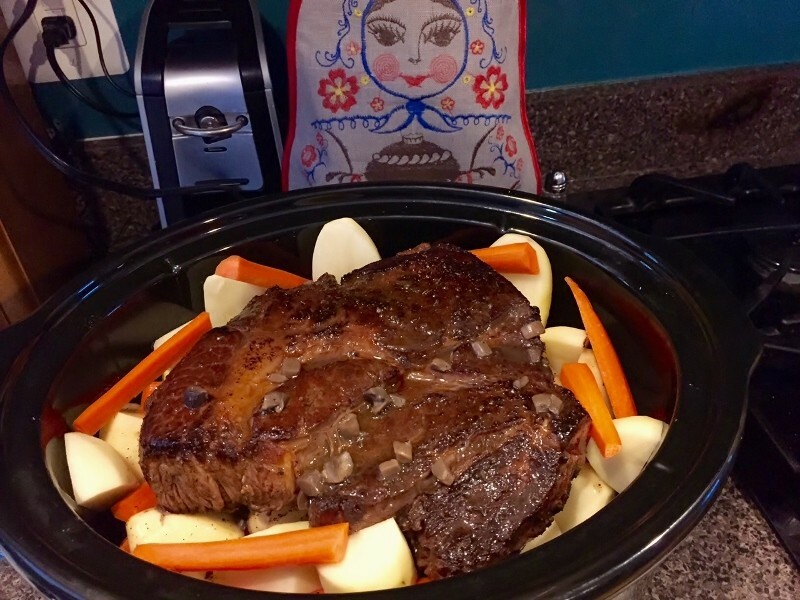 Cooking in a slow cooker doesn't consider as a real cooking. You just put everything in and pressed the button. What did you eat? This meal is for three adults. I made a German chocolate cake for breakfast (it was mix from a box, so not "real cooking"). Wanna do a potluck? Oh, cake for breakfast! :)) Pot luck would be good, but you live in NY right? Wawa has such a huge selection of prepared foods and most have full delis! We only have a few in our area. Sheetz is more popular. Did you get to see the Pope, or were the crowds too large? Thanks! By 7pm I will be very hungry! How much and what kind of alcohol do you drink while watching football? In Russia we drank 2 shots for every score. Unfortunately if score was to high you wasn't able to reach the end of the game. I don't drink alcohol very often, only a few times a year. But all my friends and relatives usually drink beer while watching football games. I think it's the most common alcoholic beverage consumed at bars and at home while watching the games. I took my Russian friend to a football game when he was here and he liked it! :) We call it a "slow cooker" or "crock pot." Most dishes you cook for 6 - 8 hours and it makes the meat more tender. Very delicious! I prefer only fresh beef steak - just marinate in olive oil + herbs and pepper (or mustard) and quick fry in hot frying-pan for approx 3 minute each side. Plus only fresh vegetables salad (+olive oil and white ground pepper). Nom Nom - this is a phrase for when you're eating delicious foods or meals. :) I don't know the Russian word for this. Never heard about slow cooker before. Of course you can reach the same effect in a traditional oven and cast-iron cookware but here it is more controlled. Here the latest fashion is computerized multicookers originated from Japan or China. Most commercially available mushrooms today are Agaricus mushrooms ("шампиньон" in Russian) and their taste is quite dull. Mushrooms grown in forests sometimes are much tastier. 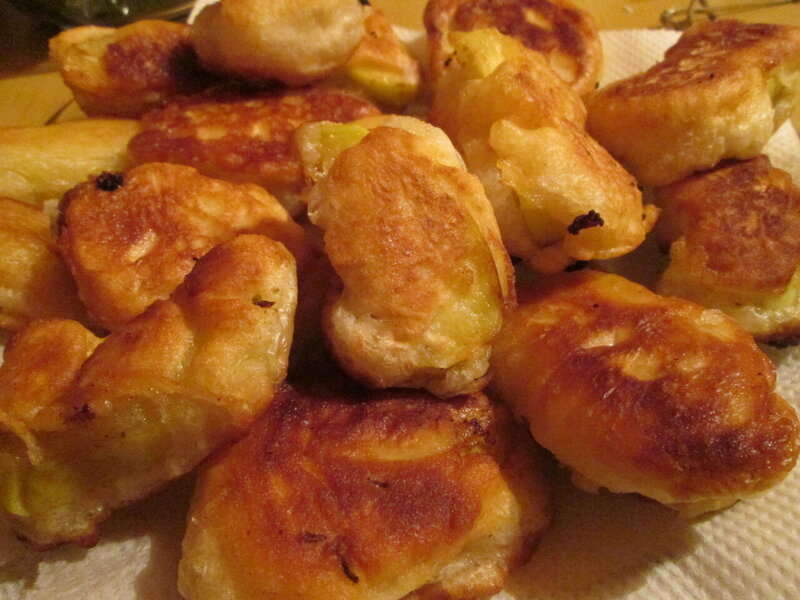 Today we ate potatoes with White mushrooms as they are called in Russian ("белый гриб"). It is the king or mushrooms in Russia. Wikipedia says that in Italy these mushrooms are called porcini. I do not understand American football. For me it looks more like a brutal fight than a game. It's a brutal game, even though they wear helmets and pads. Many players suffer permanent brain damage due to so many concussions, so now they've created stricter game rules to make them sit out longer after such injuries.